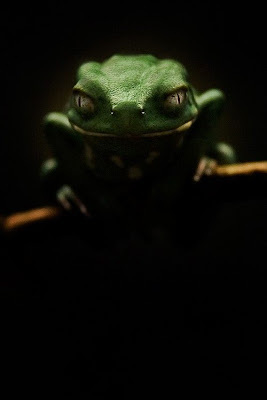 A Cheshire frog looming out of the darkness on an overhead tree branch. Definitely more freaky than a Cheshire cat. Lewis Carroll probably made the right choice. That's one very intense looking frog. Very nice, Wombat. Nice indeed. This is just wicked cool.